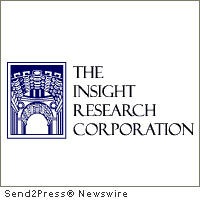 Send2Press › Wire › U.S. Business › New Jersey Business › To Quicken Pace of New Service Rollout, Telecoms Turning to Open Source Software, Says Insight Research Corp.
To Quicken Pace of New Service Rollout, Telecoms Turning to Open Source Software, Says Insight Research Corp.
BOONTON, N.J., April 6 (SEND2PRESS NEWSWIRE) — Open source software – software that is available in compiled and source code formats and is downloadable free of charge over the Internet – is quietly being adopted by telecommunications carriers for use in their internal operational systems as well as in their customer-facing service delivery platforms, says a new market analysis study from Insight Research Corp.
By quickening the time to market for new services, open source software has already had a profound impact on the telecommunications industry, and while such impacts are not being trumpeted loudly in the trade press or being discussed openly by the carriers, they are nonetheless real. Insight Research’s market analysis study, “Open Source Software Impacts on Telecom Services, 2011-2016” notes that carriers adopting open source can more quickly deploy new services at lower development costs since the code is improved upon and supported by a large pool of software talent, at little or no cost. The main disadvantages include the risk of using software that infringes intellectual property rights, and using the software outside the terms of the software’s license. “Purchasing traditional commercial proprietary software to implement new service platforms typically means high initial costs and greater on-going support costs, less flexibility, and operating within a closed architecture,” says Robert Rosenberg, Insight Research Corp. President. “Open source revolves around a community of developers and users that keep open source software alive and fresh because the community keeps evolving the code, and this kind of continuous attention really shortens a new product development cycle,” Rosenberg concluded. “Open Source Software Impacts on Telecom Services, 2011-2016” segments the markets by U.S. as well as global region for OSS/BSS functions including network management, CRM, trouble management, and billing. Forecasts are also provided for spending on IP equipment software loads. Professional services and support services revenues related to OSS/BSS functions are also forecast. An excerpt of the “Open Source Software Impacts on Telecom Services, 2011-2016” market research report, table of contents, and ordering information are online at http://www.insight-corp.com/reports/open10.asp . This 187-page report is available immediately for $3,995 (hard copy). Electronic (PDF) reports can be ordered online. Visit our website, or call 973/541-9600 for details. Original Keywords: Open Source Software Impacts on Telecom Services, 2011-2016, Insight Research Corp, market analysis study, Robert Rosenberg, New Jersey business news, network management, CRM, trouble management, and billing, ERP Insight Research Corporation Boonton New Jersey BOONTON, N.J.
REFERENCES: Business News, Open Source Software Impacts on Telecom Services, 2011-2016, Insight Research Corp, market analysis study, Robert Rosenberg, New Jersey business news, network management, CRM, trouble management, and billing, ERP Insight Research Corporation Boonton New Jersey BOONTON, N.J.